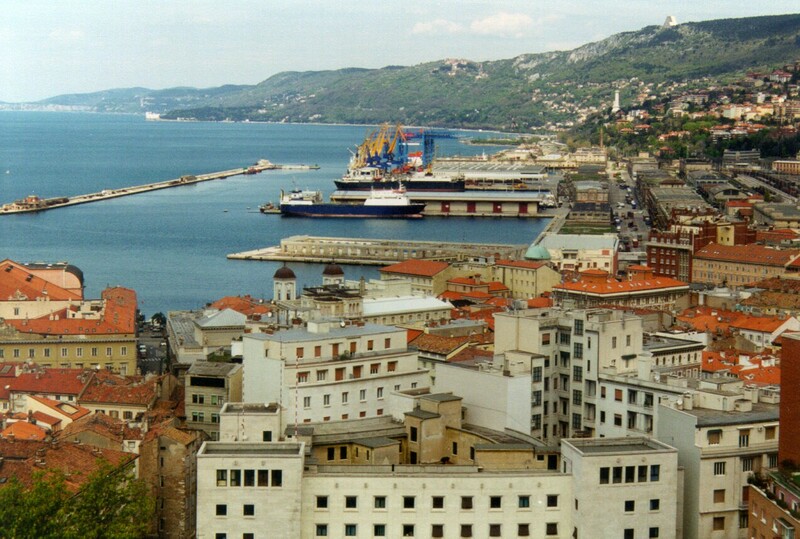 History of Trieste, the frontier city sometimes referred to as "the last citadel of Italy in the East", is amazing. Built in the days of the Roman Empire, it had survived several centuries of turmoil and destruction before in the Middle Ages it fell under the power of Austria which defended this strategic port from claims of aggressive Venice. However, looking at the map you realize that it was quite difficult for them to control the port from Vienna without modern communication means. Therefore, the Habsburgs decided that a bird in the hand is worth two birds in the known place, and granted Trieste the status of "free city" limiting this freedom by their protectorate. Until the end of the World War I the Italians had to cross state boarder to visit "their own city" as they always considered this place where long before locals had become half-Austrians and even mixed with the neighbouring Balkan people. Latest revision of borders occurred after the World War II when the territory of Trieste was divided between Italy (almost everything) and then Yugoslavia. The Triestini perceive various upheavals philosophically since they feel it confusing to identify themselves with only one country. In addition to the spiritual treasures there is much to see and touch in Trieste. Surely, you will not pass by the Unity of Italy Square, the central spot open-sided to the sea. This place is considered as the most "Italian" in the city: fragrant coffee shops, pizzerias, pompous buildings with spectacular views are ideal for contemplating the beauty of the southern people and nature. After admiring it, head towards the Grand Canal which runs from the sea to the shopping district. It is paralleled with the main street right for shopping and romantic walks. If you got "tired" of Italy, do not miss the occasion to visit the church of St. Spyridon. This Serbian art masterpiece truly boasts its rich Byzantine style. Internal elaborated mosaic deserves special attention, air is heavy with incense smell well familiar for Orthodox tourists from the CIS. Very often there you can meet Russian emigrants of the first migration wave. Smell of Austria also haunts Trieste. 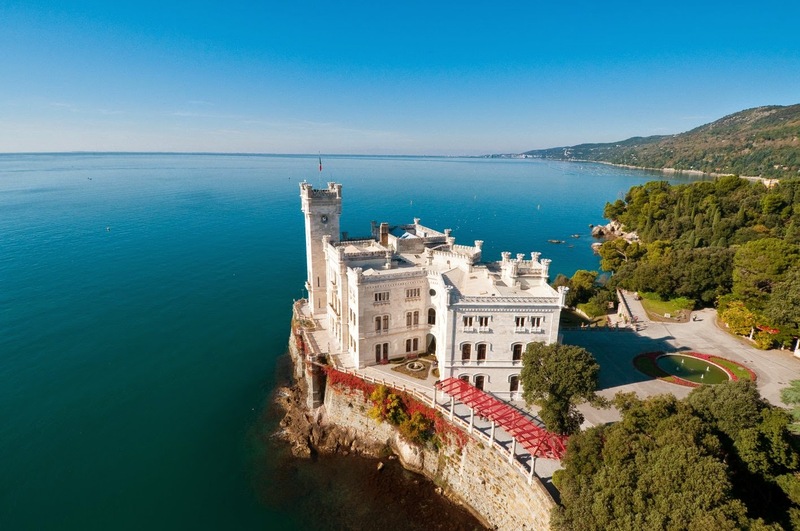 In addition to intangible values the Austrians enriched Trieste with numberless authentic taverns and pubs and the majestic Miramare Castle. This snow-white beautiful house situated 8 km from the centre once served as the residence of Archduke Maximilian. The owner was avid traveller and naturalist, so almost everything that grows in the garden and in the residence territory was brought from distant lands and planted personally by Maximilian. The final chord of the must-see program is the Opicina Tramway offering a trip to the real alpine village of Villa Opicina in cosy cabins which are more than 80 years old. In some areas those tireless rail workaholics are converted into funicular drawn up by small locomotive. The route starts from the Oberdan square, cabins run every twenty minutes from 7 a.m. till 8 p.m.
And, of course, we cannot neglect the fact that Trieste was a favourite place of James Joyce. And in this city he wrote his major novel "Ulysses". And though the main character of the novel travels in Dublin, complicated in modernistic-style, multi-levelled and layered Trieste is hidden between the novel lines. In the city centre there are several houses and museums where the great author lived and worked. They are not difficult to be found, and it is your task - OUTLOOK gave you a hint, but everyone should become Odysseus on his own. The closest airport is Ronchi dei Legionari, it is 33 km from the city. International flights from London, Munich and the Italian cities land there. Buses from the terminal to Trieste centre travel about an hour and cost EUR 3-4, while taxi fare is EUR 60. 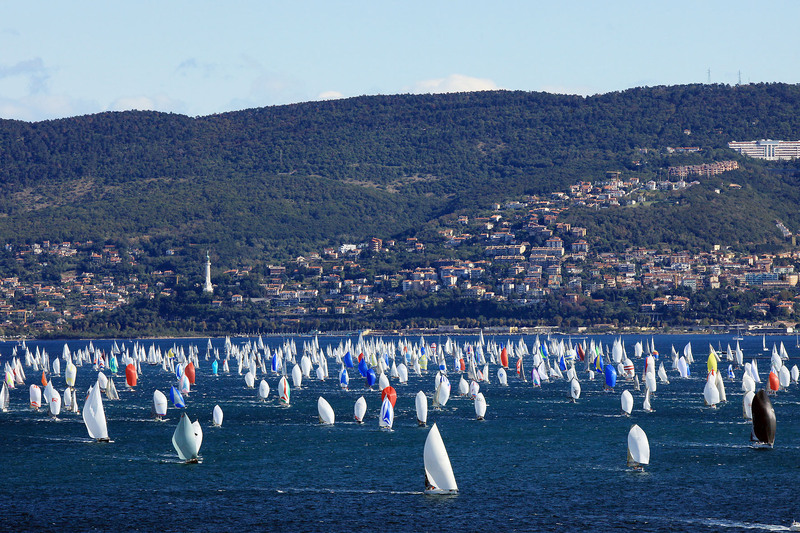 The right time to visit the city is October when it hosts a large-scale Barcolana regatta. Local residents, especially adults, almost do not know English. But German is very common. In the Balkan areas they understand some Russian. Still, be sure to stock up with an Italian phrase book. In Trieste remained one of few distinct beaches: men on one side, women on the other. In general, the locals say that the city has "a lot of the sea, but few beaches." Many scientists and historians unanimously agree that Middle East, particularly, Arabian semi-island is the cradle of human civilization because almost every nation among those present there is one of the most ancient on our planet. In this list there are citizens of Yemen who created the interesting in a travelling way country bounded by two seas and Indian Ocean simultaneously. One of the smallest capitals of the world – Malé – offers to have a look at the country’s, not 5-star hotel’s, places of interest and to get closer to life of ordinary Maldivians, not people from a room next door. Red telephone booths, the largest concentration of armour and cold weapons inside area of one state, and a unique combination of grim "northern" architecture and mild climate - meet Valletta, Malta's capital. We invite you to come with us to this wonderful city, which still preserves the spirit of valour and courage. Having taken tens of millions of visitors in a couple of hundred years, the Postojna Cave made Slovenia being proud of it because of the main tourist attraction in the whole country. The maze of stone tunnels, halls and corridors, carved by nature itself, plus modern services for guest travelers have made these grottoes one of the most popular in the world.